Come and let’s have a laugh Saturday 6th April…(next Saturday)..You have to make up a teams and then make a fool of yourself..Looking forward to seeing a lot of you..The more the merrier!! There is a $20.00 contribution which will go to kitty. Children are exempt. We will form teams at the start…Each with a Captain (to be selected)…mixed with the fast and the not so fast! YOU MUST WORK AS A TEAM..IN OTHER WORDS YOU ARE ONLY AS FAST AS YOUR SLOWEST MEMBER!!!! GOT DAT??? Your color is the color of your egg…so at all times you must only submit your color egg or whatever else your instruction dictates…e.g. ..if you are team ‘blue bastards’, only submit your blue egg or you give the other team an advantage. Some eggs may have instructions inside. Some you just have to find!! 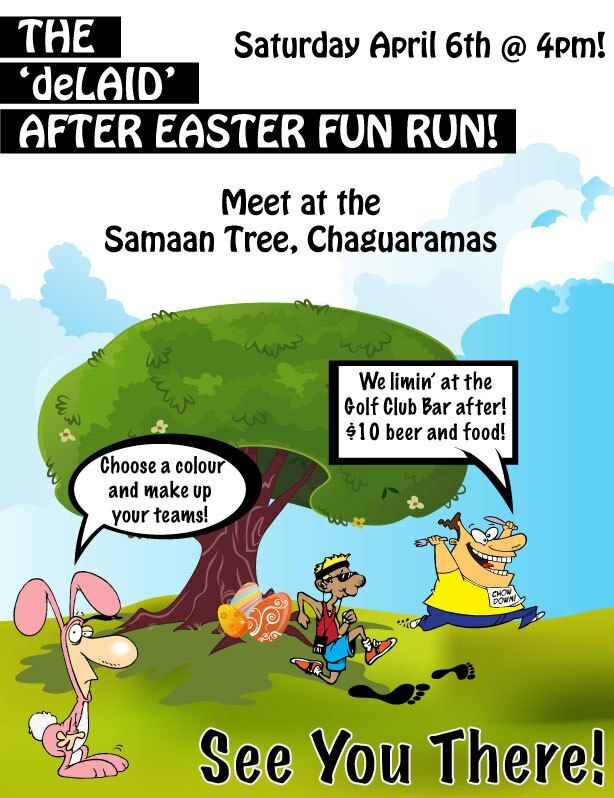 Inside all eggs will have something that must be handed in to the check point once it is manned but you must “keep all your eggs in one basket” which will be tallied at the end of the race to see if you and your slips tally. Its for fun and laughs so no quarelling permitted!!! Instant disqualification and vilification!!! Your torture will be decided! As usual beers are a must at the end!!! SEE YOU ON SATURDAY AT 4PM..